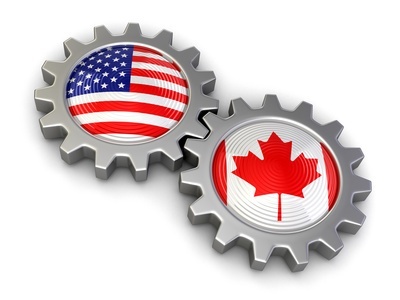 As Canada is the number one trading partner of the United States, with a common language, educated work force, and similar economic and political systems, U.S. companies who are starting to expand internationally, often start in a Canadian province. Our previous article, Northward Bound: Registering a U.S. Company To Do Business in Canada, reviewed the registration process in general. As that article discussed, when a U.S. company is doing business in a Canadian province, it needs to register “extra-provincially,” a process which is quite similar to qualifying a company to do business in another U.S. state. Registration forms are completed and submitted for filing by the corporate registry, either by mail or electronically, and are usually accompanied by supporting documents from the home jurisdiction, attesting to the company’s existence. However, because Canada does not have a limited liability company (LLC) law, U.S. LLCs usually register under the provincial corporation law, but often must fulfill additional requirements. The requirements for the registration of an LLC in the ten Canadian provinces are listed below. The LLC is a body corporate as defined under the laws of its home jurisdiction, and not a partnership or unincorporated association. The LLC is a legal entity separate from its shareholders or members. Provided that the shareholders or members do not contravene the provisions of the statute that established the LLC, the shareholders or members of the LLC are not legally liable for any liability, act, or default of the LLC. The LLC can sue and be sued in its own name. The LLC can contract and be contracted in its own name. The LLC can acquire and hold real and personal property for the purposes for which the LLC was established and can dispose of the property at its pleasure. In addition to the above legal opinion, LLCs must also provide a NUANS (Newly Upgraded Automated Name Search) report showing name availability and submit a Statement of Registration, Appointment of Attorney for Service (which is similar to a registered agent in the U.S.) and a certified copy of their charter documents. Limited liability companies register inBritish Columbiain exactly the same way corporations do. The Business Corporation Act specifically refers to limited liability companies and indicates that the term "director" refers to a manager and that the term "shareholder" refers to member when used in relation to a foreign LLC. To register an LLC in British Columbia, a company must submit a name search and reservation form, a registration statement, a request for business number and a Good Standing Certificate from its home jurisdiction. In Manitoba, limited liability companies file the same forms as corporations do, but must also submit the formation documents for the company (Certificate of Formation, Articles of Organization) and any amendments thereto. To register extra-provincially in Manitoba, companies file a name reservation, an application for registration and a power of attorney appointing an attorney for service. In New Brunswick, there is no difference in the registration process for limited liability companies. They obtain a NUANS name search report as corporations do and file a Statement of Registration and Additional Information, an Appointment for Attorney for Service and the Consent to Act as Attorney for Service. These should be accompanied by a certified copy of the formation documents and amendments, as well as a Good Standing Certificate. Limited Liability Companies registering in Newfoundland have one additional requirement over corporations; they must provide written consent that they will provide a copy of the company’s Operating Agreement to the Director of Commercial Registrations upon request. The Agreement will only be reviewed by the Director and will not become part of the public record. To register in Newfoundland, companies must file a statement for registration, a statutory declaration by the officers and a power of attorney appointing an attorney for service. These must be accompanied by a certified copy of the formation documents and any amendments thereto. Limited Liability Companies register in Nova Scotia just like corporations. They must reserve the name and provide the three-part registration form and a certified copy of the formation documents. In Ontario, limited liability companies do not register as corporations at all but register under the Ontario Business Names Act and are treated differently than corporations. This act specifies that extra-provincial limited liability companies do not appoint an attorney for service but should be served either at their principal place of business in Ontario (if any), the address required to be maintained in the jurisdiction of formation or its principal office address. To register an LLC in Ontario, companies file Registration Form 6 under the business names act and the registration must be renewed every five years. No supporting documentation is required. Limited Liability Companies register in the same manner as corporations in Prince Edward Island. Submission of an Application for Registration (Under the Extra-provincial Corporations Registration Act R.S.P.E.I. 1988, Cap. E-14) is required. For both corporations and LLCs, Prince Edward Island differs from most other provinces in two ways. First, supporting documentation is not required to be submitted with the registration documents. And second, there is no requirement to appoint a local attorney for service. Quebec’s registration forms do not make a distinction between different types of entities. All “legal persons” not formed in Quebec file the Initial Declaration for a Legal Person. The company must provide a French version of their name when registering. The registration must be done electronically and the registration website is in French language only. U.S.limited liability companies register inSaskatchewanunder the Business Corporations Act. To register, LLCs, just like corporations, submit an application for registration, a power of attorney appointing an attorney for service, certified copies of the formation document along with any amendments and a certificate of status from the home jurisdiction. By being aware of the different requirements in each Canadian province for registering a U.S. limited liability company, you can avoid problems and complete the registration process more quickly.